Happy Saturday everyone! Hope you were able to snag some awesome Black Friday deals! I snagged some new cloth diapers for my daughter and I am so excited to get them in! My husband got an awesome deal on a handheld game system and we got a TV too! What did you get? Do you know of any good deals on Cyber Monday? Do share! In the mean time here are you links for this week. Have you made any of the other pins from previous weeks? Please share! This entry was posted in Pinterest and tagged cloche, clothing, cowl, crochet, DIY, easy, fast, five, free, friday, fun, gloves, hat, home, hot water bottle cover, knit, neck warmer, patterns, pinterest, quick, saturday, scarf, shopping, style on November 24, 2012 by littlebirddesignsfxbg. Hey Gang. Sorry I’ve been so silent this week. I have been working on some stuff and got a little carried away so I didn’t post like I should have been. My apologies. Here is a double edition of Pintastic Friday since I missed last week. 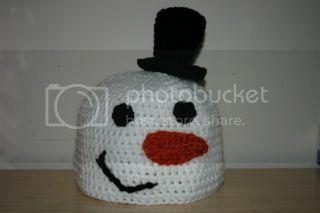 We are still highlighting some quick and simple knit and crochet projects for the Christmas rush. Hope you enjoy. 1. Tablet Cover While this is specifically designed for the Kindle you can modify it for any tablet. 2. Fingerless Mitts Actually named gloves, they are mitts as there are no finger holes, just the hand hole. 3. Hooded Scarf All I can say is I want one and will someone make it for me? 4. 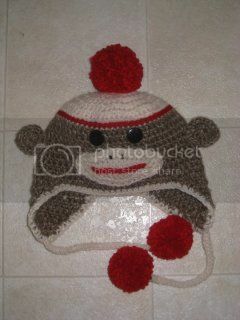 Reversible Hat Great gender neutral hat! 5. Leg warmers Pickles has the best patterns. These are so cute! 6. Toasty Scarf Again, gender neutral and very nice knit scarf. 7. Baby Slippers Using scant amounts of sock yarn, these are quick, easy, and cheap! 8. Adorable Flower This flower would make a great embellishment for a hat or stand alone as a brooch. 9. Headband Its a knotted headband, very cute and versatile. 10. Bow Scarf While this scarf is designed for Toddlers, you could easily adjust it to fit adults too! That is it for this weeks round up. Hope you like the picks. If you make any of them please link up and let me see! I love seeing projects, be it completed or in progress. Until next time, stay warm and crafty! This entry was posted in Pinterest and tagged adults, baby, bow, christmas, clothing, cover, crochet, cute, DIY, easy, fast, fingerless, flower, gift, hat, headband, hooded, kids, knit, knotted, leg warmers, mitts, neutral, quick, reversible, scarf, slippers, sock, style, tablet, toasty, toddler, warm, yarn on November 16, 2012 by littlebirddesignsfxbg. Here is the pintastic friday for this week! 1. Cardigan – I desperately want to make a cardigan or sweater coat for myself sometime soon and this one might fit the bill. 2. Truly Flat Ribbed Hat – Brilliant! 4. Effortless cowl – umm, yes please! The weather is supposed to get really “interesting” later this weekend and early next week here so I may or may not be back next week as we may or may not have power for an extended period of time. Hurricane Sandy might just turn our area (VIrginia) into soup. Hope you guys are out of harms way and if not, then I hope you stay high and dry with power! Good luck to all those East Coasters who will be affected by Terrible Sandy! This entry was posted in Pinterest and tagged blogspot, cardigan, clothing, cobweb, color, cowl, crochet, cute, easy, fall, farmstead, festive, flat, friday, fun, halloween, hat, holder, knit, knitting daily, pattern, pinterest, ribbed, runner, spider, spider web, table top, teapot, truly, web, yarn on October 26, 2012 by littlebirddesignsfxbg.